Disciplinary and grievance investigations, advice and appeals. Dealing with problems and issues at work, such as grievance complaints, disciplinary investigations and capability issues, can be time consuming, particularly when you need to wade through the employment legislation and also manage your day job. We can provide telephone, email and on site advice, drafting letters, conducting investigations and attending meetings as needed. Which gives you peace of mind that the issues with be handled effectively. 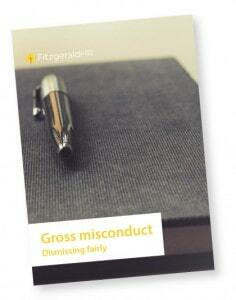 We know that Grievance and Disciplinary investigations can be a serious drain on your time. Managers and HR professionals rarely have the time to conduct an investigation properly but not doing it thoroughly can be risky. We can do these investigations for you so you can be sure your procedures are handled properly. Some of our clients outsource all their investigations to us. Others just give us the occasional more complicated issue. We can come on site anywhere in the UK and professionally conduct your investigation before providing you with a detailed report and recommendations to enable you to make informed and balanced decisions. 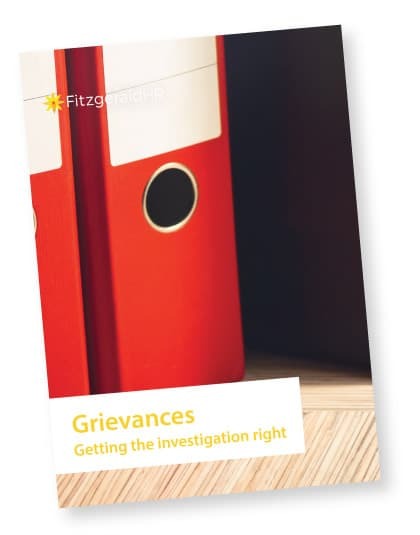 One of the best places to start when approaching a disciplinary or grievance issue is to read the ACAS guide on discipline and grievance at work. However, sometimes you need a HR professional to guide you through a complex disciplinary or grievance issue, someone to draft the letters for you and even attend the meetings so you can be sure you get everything right. We can help with that, from the beginning of the process to its conclusion, so you can have peace of mind that your disciplinary and grievance issues are dealt with properly. Sometimes, you’ve done the investigation, you’ve held the disciplinary or grievance hearing, provided the outcome, and now the employee has appealed. The problem you’re facing is that there’s no independent person left in the Company to hear the appeal. It can be really useful at this stage to bring in an external HR Consultant to hear the appeal for you so you can demonstrate your disciplinary or grievance process was fair and robust. For a copy of this HR guide, please enter your details below.